My friend’s son just makes me smile, and he is full of that adorable dinosaur energy: so silly, sweet and full of life. Inspired by his adorable spirit and love of prehistoric everything, I created these watercolor dinosaur party invitations. I started creating party invitations on Amazon this year. Our party supplies are making people smile all over the US with brilliant watercolors and fun designs. One of my favorite moments this year was realizing that a friend of a friend down the street ordered up a bunch. Right in my own backyard. 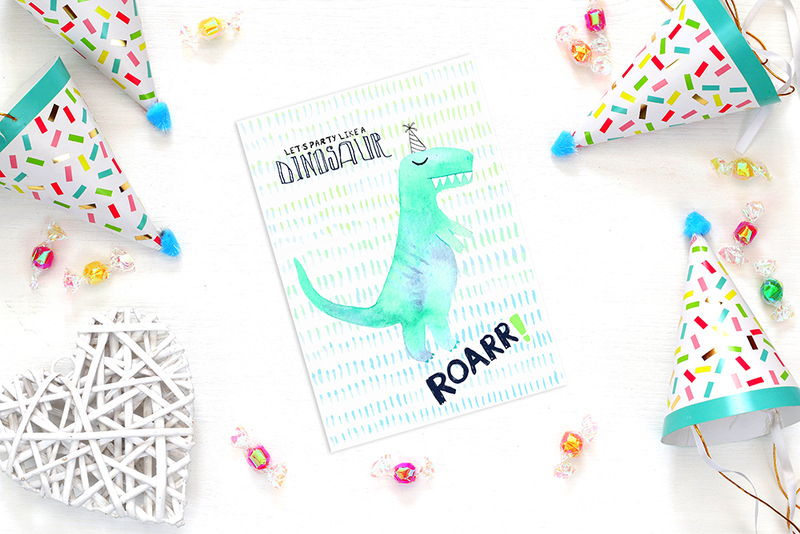 For me, a cute paper product is key to setting a dinosaur party mood. With just invitations, tags and thank yous you can create a wow factor. Throw in a few balloons, a cake, and some games to have a great celebration. Throwing a party doesn’t have to be complicated. Visit our post about 3 keys to a successful party plan, and download our party planning checklist. Some fantastic decorations will make this party shine. 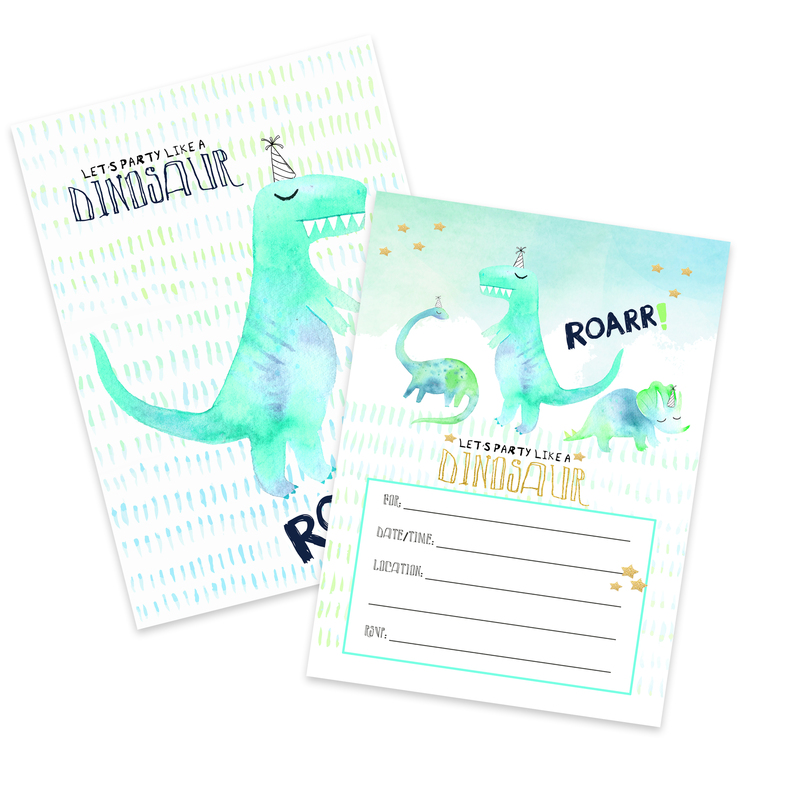 You can add various dinosaurs, gold stars, little party hats, and favors. 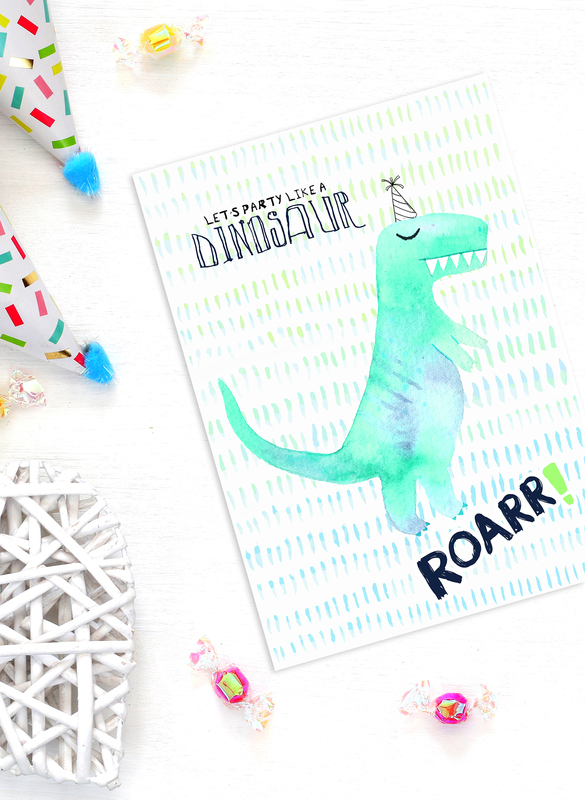 Check out our Dinosaur Party Inspiration Board on our Pinterest page for even more ideas.